Despite the Assam Rifles claims of defusing landmines along the Mizoram-Myanmar border in Lawngtlai district, Indian villagers adjacent to the international boundary are still in a state of fear and panic after three incidents of landmine blasts. 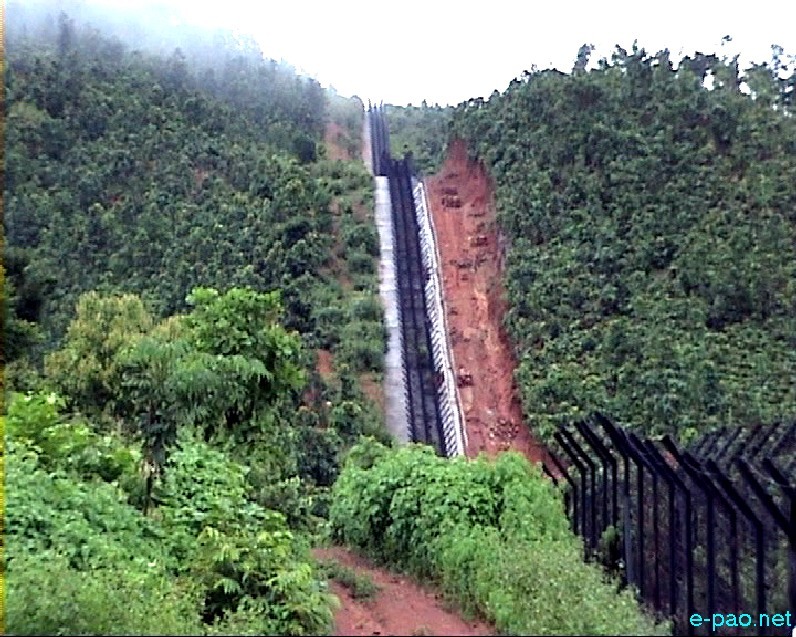 Official statement from Assam Rifles said that the area between Indo-Myanmar boundary Pillar 1 and Pillar 11 has been sanitised. This development follows a series of accidents involving villagers stepping on stray mines, with the latest victim being Jitua Tongchongya, who was severely injured in a blast on Monday and is currently recovering at the Lawngtlai district hospital. Tongchongya stepped on a mine near Pillar 2, having his lower body blown off. The Assam Rifles had earlier issued a warning to villagers living along the border areas not to venture into the jungle as there was high possibility of landmines being planted by Arakanese insurgents or Myanmar Army personnel. The launching of a massive crackdown by the Myanmar Army on Arakan Army (AA) militants in the border areas within Myanmar in recent months has not only resulted in the inflow of almost 2,000 refugees from the Chin State of Myanmar, but has also brought the conflict into Indian territory. “They came and comb the area, we do not know what they did at the boundary, the army persons said they have diffused the bombs, they went there with their machines, their machines told them where the mines were, it was safe for them, they might have diffused some bombs, but who knows how much bombs were there,” said one Rubendro from Khawkawn village. According to him, none from his village dare to venture out in the woods to work and to collect even firewood for cooking. “The situation there needs to be published; the villagers along the international borders at their wits end now. Most of the villagers here are completely dependent on the forest resources for their daily livelihood, they are panicked stricken. More has to be done to restore normalcy in the region,” said Lalngheta, a journalist from Lawngtlai who recently visited the boundary. Majority of the people in these poverty-stricken desolate areas depended on what the forest has to offer. Now due to the fear of landmines and repeated warnings from the military and the civil administration not to venture out in the forest, their main source of sustenance is broken. “Seasonal wild crops are harvested by these villagers for food and money, the present season is a perfect time for harvesting a local herb called Anchiri, used to make gunpowder that can be sold at Rs. 45 per kilo. Most of the villagers’ annual income is dictated by the volume of Anchiri they harvested during this time of the year. At the moment none dare to venture into the forest, their fate for the dry season is sealed already,” Lalngheta said.